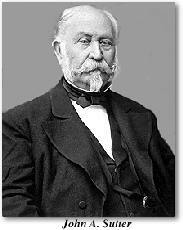 In 1841 John Sutter, a Swiss entrepreneur, received a land grant from the Mexican government for eleven square leagues of the rich Sacramento Valley, not counting overflow lands within the general bounds of the grant. The New Helvetia patent was bordered on the north by three eroded remnants of volcanic cones, the Tres Picos or Prairie Buttes (today called Sutter Buttes). The Sacramento River bounded the grant on the west, the Feather on the east, and the line of 38 degrees 49′ 12″ on the south. In 1842 John Sutter deeded Nicolaus Altgeier a square mile of land. Nicolaus was born in Freberg, Germany, in 1807, came to America about 1830 and became a trapper for the Hudson’s Bay Company. He came to California about 1839 or 1840 and worked for Sutter, who encouraged him to settle at the junction of Bear Creek and Feather River in order that there might be someone there to run a ferry. The spot is called Nicolaus. In Nicolaus’s day it was known as “Nicholas Rancho”. The 600-acre ranch was then sold by Altgeier to the Scheiber Family who had migrated from Switzerland in the 1800’s. The family operated one of the largest dairies in the valley as well as three cheese plants which shipped California full cream cheese to San Francisco. Other members of the Scheiber family operated three paddlewheel river boats docked at Nicolaus, moving passengers and freight on the Feather and Sacramento Rivers. River Oaks has come a long way in 2018. The team is so excited to bring in the New Year with all of our valued customers. We look forward to bringing more additions and lasting traditions. We are truly a course on the rise and thank all of our loyal customers for being there every step of the way. 2019 will continue to be a year of growth and development for the Club as we work hard in this offseason to improve aesthetics and keep our course in progressive motion. ROGC boasts greens that are currently in top form, providing a beautiful and fast surface for all to enjoy. If you haven’t played lately, the greens are worth the trip! River Oaks Golf Club looks forward to providing great service, great golf and great memories for your 2019 Golf outings. Its going to be a year to remember! Copyright © 2019 River Oaks Golf Club All Rights Reserved.